The Open Source Initiative (OSI), a non-profit corporation responsible for the management and promotion of the Open Source Definition (OSD), today announced the appointment of Michael Tiemann as interim president, taking over the position from Russell Nelson. After adding additional members, OSI's newly expanded board will select a full-term president and focus its immediate efforts on working with the community to evaluate the OSD licensing process. Licensing is perhaps the most important issue facing Open Source today. As steward of the Open Source Definition, OSI takes very seriously its responsibility to ensure that licenses remain true to the fundamental principles of Open Source, said Tiemann. We are evolving to address new issues as Open Source experiences exponential growth, including internationalization, open standards and software best practices. Our expanded board will work to address current licensing concerns and evaluate how to best apply the OSD to encompass these contemporary issues. Tiemann comes to the position of president with a strong technical background and experience with Open Source, having co-founded Cygnus Solutions, a provider of support for free and open source software. After Cygnus Solutions was acquired by Red Hat in 2000, Tiemann became Red Hats Chief Technical Officer. Last year, Tiemann became Red Hats first vice president of Open Source Affairs, a position he maintains today. His hacker credentials include having authored the original GNU C++ compiler, along with numerous ports of other GNU software to a variety of microprocessors and operating environments. Nelson acted as OSI president after having served many years as an OSI vice president; and he will continue to serve on the board. He will also remain a member of the licensing committee, continuing to contribute to one of OSI's most important duties. "OSI's mission is very important to me", Nelson said. "My hope is that the community can continue its focus on working together to advance the integration of open source software into the wider society. I look forward to continuing to assist OSI as a board member." 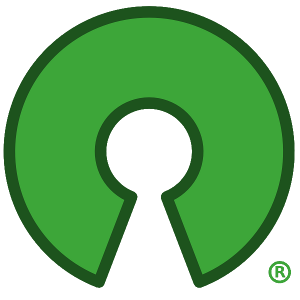 The Open Source Initiative is a 501(c)3 California public benefit corporation. It was founded in 1998 to recognize and promote the burgeoning Open Source model of software development. Its programs consist of an informal speaker's bureau, a widely-accepted definition of what constitutes Open Source Software, a certification program for upholding the quality of licensing of Open Source software, and a website educating visitors of the benefits of Open Source. The Open Source Initiative may be contacted through its website at http://opensource.org.